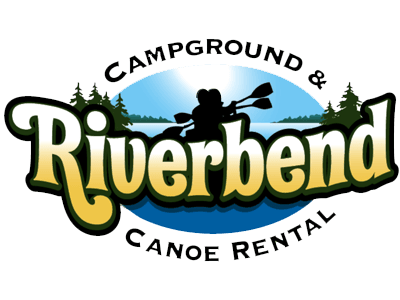 CAMPING RESERVATIONS ARE TAKEN DAILY DURING OFF SEASON AS WELL (if we don't answer the phone, please leave a message and we will call you back. We are off doing repairs to the campground or family activities. Reservations are HIGHLY RECOMMENDED at least 3 months to a year in advance. Sites will not be held without a $25 deposit per site. All sites must be paid in full 3 weeks prior to arrival. 2 night minimum stay / 3 night minimum stay on holidays. NO PERSONAL CHECKS WILL BE ACCEPTED 4 WEEKS PRIOR TO ARRIVAL. $75 RETURNED CHECK FEE! ABSOLUTELY NO OUTSIDE FIREWOOD BROUGHT INTO THE CAMPGROUND!!!!! $500 FINE IF YOU TRY BRINGING IN WOOD! State Law Prohibits Glass Bottles and Styrofoam Coolers on the Rifle River! Fishing areas, trails and playgrounds. 30 amp Electric & Water sites: 1-29, 51-61, 75-80, & 81-101.